Install your HTML email signature in no time! Use our signature installer or follow our step-by-step guides to install your email signature in Mailbird. It's never been easier to create a new email signature for Mailbird. Check out our beautiful email signature templates and easy to manage email signature software, that makes creating email signatures for Mailbird a breeze. If you run into any issues during your HTML email signature installation in Mailbird, please see the Troubleshooting FAQ for frequently asked questions, before contacting support through your member account. Open your HTML email signature file in your web browser, then press Ctrl + A to select all, followed by Ctrl + C to copy. Open Mailbird and select the menu icon at the top left of the email client, then select Settings. A window will open up with your settings. 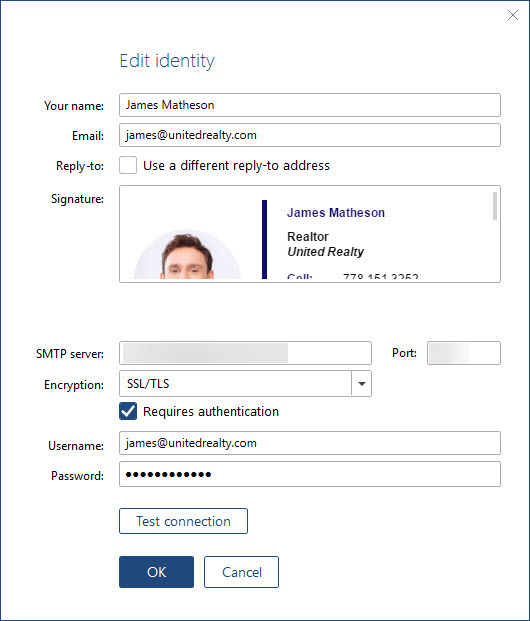 Select Identities from the left menu then select your email account and click Edit. Click inside of your signature field then press Ctrl + V to paste your copied email signature. Click OK to save your changes. 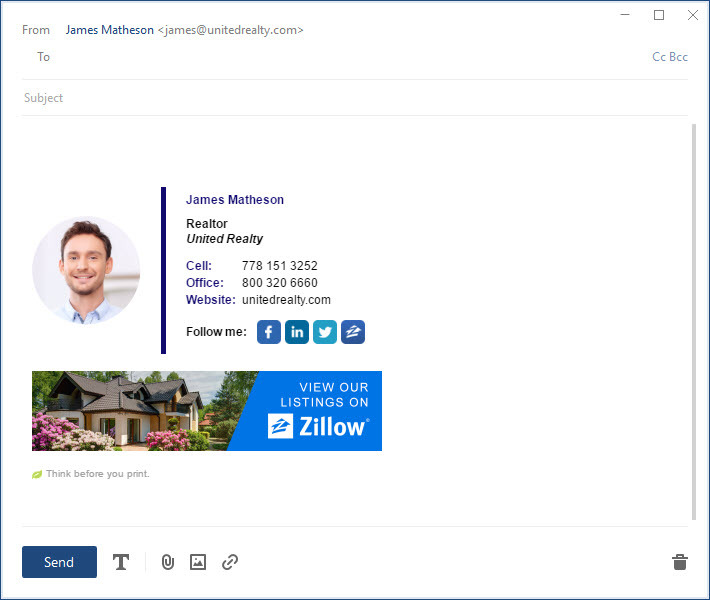 Click the compose icon at the top of your Mailbird client and you will see your email signature is now automatically inserting into your emails from that account. 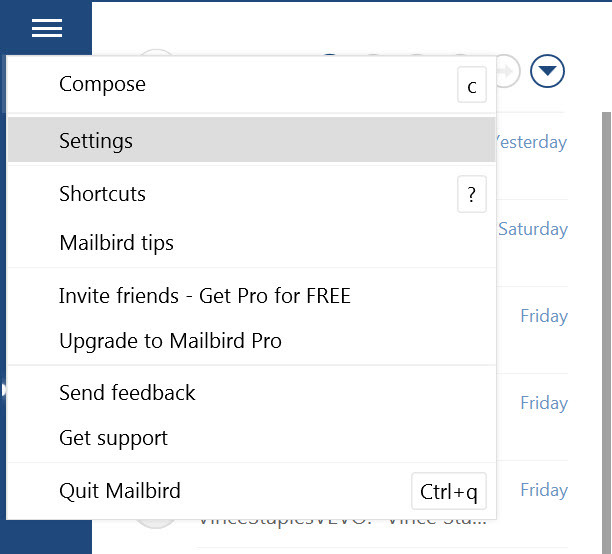 If you have tried our Step-by-Step Guide and Video Instructions for installing your signature into Mailbird and you run into any issues, please read through this troubleshooting guide before contacting Support for further help. A majority of the time when this happens, the user installing the signature has not copied all of the relevant code before pasting it into Mailbird. To ensure that all of the code from the signature is copied, the user needs to use Ctrl + A to select the signature when open in the browser or full screen preview and Ctrl + C to copy it. If the user uses their mouse to select the code, they may not select all of the HTML for the signature to work correctly, which will cause the signature to look different when pasted in. You need to make sure you delete everything from the signature box before you paste the signature in. If you do not delete everything before you paste your signature in, it will not work correctly. 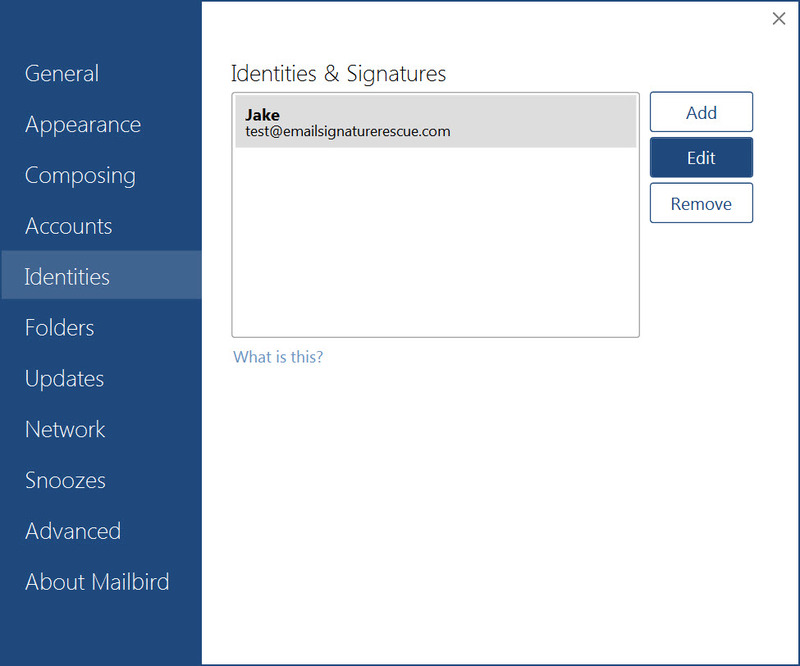 Delete all of the email signature from the signature settings box by selecting it all (Ctrl A) then hit Delete. Make sure that your cursor is at the top left of the signature box and you cannot select anything inside the box. You should not be able to move the cursor anywhere, it should remain in the top left corner. You may not be able to see it, the only way to ensure you have deleted it all it to double click around inside the box and delete anything you find. Now copy and re-paste in your email signature, using only Ctrl + A, Ctrl + C and Ctrl + V.
If you don't have an email signature HTML file, consider joining Email Signature Rescue now and get creating! We offer over 30 professionally designed and tested email signature templates, tools and features to create and manage your email signatures online and a whole lot more.